I love anything and everything vintage. 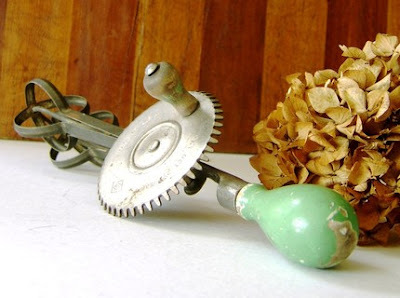 Not only do vintage finds have a story behind them, but they are also green since you're reusing or repurposing them. I like to look for vintage elements for our kitchen. Here are some great finds from Etsy. 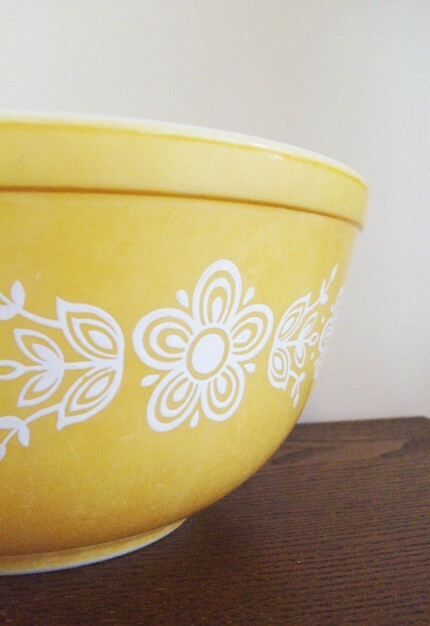 A cheerful vintage Pyrex bowl...I'd put in on the counter as a fruit bowl. The yellow makes me smile. I adore the jadite handle! This is from 1923 and would be a great decorative accent. When I was growing up, we had a kitchen with red checkered wallpaper (with fruit on it) and a red rotary wall phone. I think these dishes would've looked fun in that kitchen. 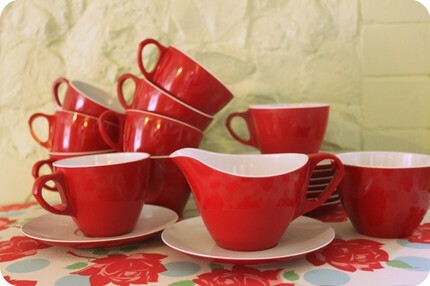 These vintage Melmac pieces are from Itty Bitty Birdy. 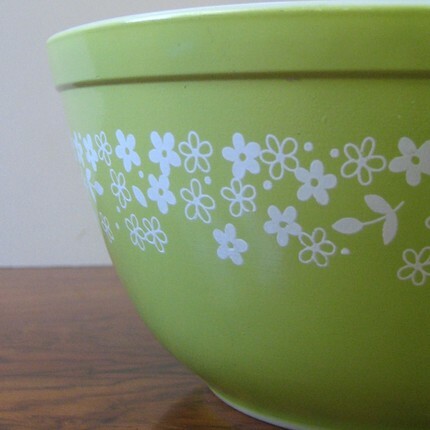 My Grandma S. had a set of these, which I now have. When I was a kid, I thought they were really ugly. 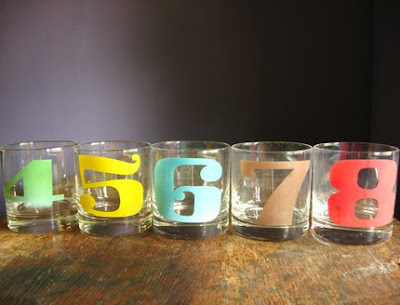 Now they not only have sentimental value, but they're cool vintage finds! 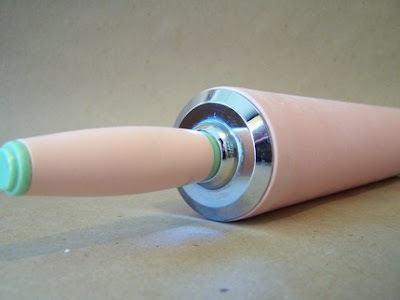 I don't mean to be dramatic about a rolling pin, but isn't this THE loveliest one you have ever seen? I mean, you have shine, you have pink, and then you have aqua. Seriously, I love this one!